Climbing through rugged terrain to finally arrive at 20,320 ft., Hudson Stuck, Harry Karstens, Walter Harper and Robert G. Tatum were the first to successfully reach the summit of Denali, North America’s tallest peak. On June 7, 1913, after 10 years of attempted summits by other expeditions, the quest proved worthwhile for the group of four mountaineers. 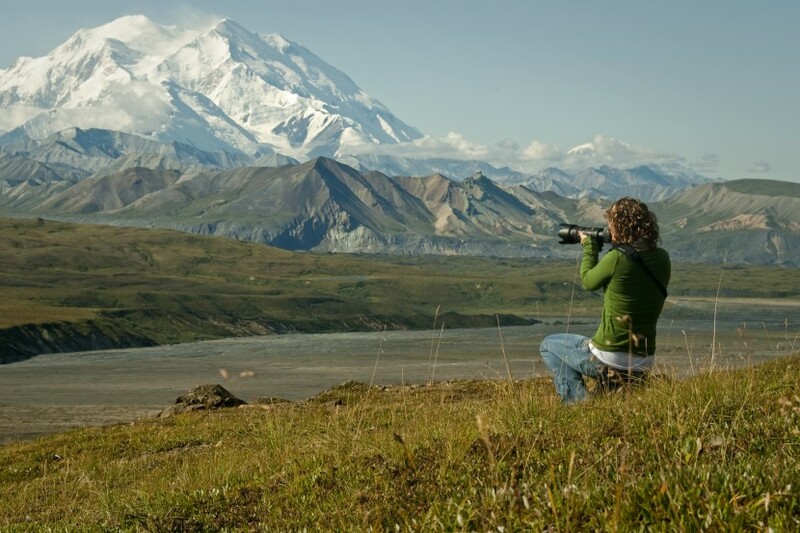 When they arrived at the top, Tatum reportedly exclaimed, “The view from the top of Denali is like looking out the windows of heaven!” You don’t have to be an accomplished climber, though, to experience the paradise that is Denali. 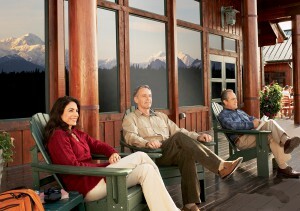 You and your family can celebrate the centennial ascent of Denali with a Princess Lodges vacation. We recommend our Mt. McKinley Princess Wilderness Lodge as a base camp for your Denali National Park and Preserve adventures. Experience the pristine Alaska wilderness with a whole host of recreational activities right at your fingertips. While there are plenty of opportunities to explore the park on foot, you don’t have to hike for miles to soak in heavenly views of “the High One.” When you step into The Great Room at the lodge, you’ll be treated to one of the most spectacular views of the majestic mountain. From there, you can stroll outside and onto our new outdoor patio, which features several stone fire rings and plenty of fireside seating so the entire family can enjoy the beauty of Denali by the crackling fire. There are also s’mores, drinks and snacks available – all you need to bring is your campfire stories. If you’re looking to celebrate the 100th ascent of Denali with an Alaska adventure of your own, look no further than the helpful staff at the Mt. McKinley Lodge Tour Desk. For a full day of fun, check out the Backcountry Wilderness Adventure, which lets you explore the vast backcountry of Denali State Park on a hiking and kayaking journey. Along with awe-inspiring views of the Alaska Range, hikers will have the chance to see the eagles, moose, swans, salmon and even bears that frequent the area. Although there are many ways you to experience Denali, until you’ve experienced life at 20,000 feet, it’s hard to grasp the enormity of the mountain. Schedule a flight seeing tour that will take you to top! With the exciting Summit Flight, you’ll witness all two thousand feet of the South Hunter Ice Fall and the renowned Kahiltna Glacier. This is undoubtedly the closest you can be to experiencing the summit of Denali without climbing there yourself. With our current lodge specials, you can even save some cash on your Denali experience. Book your Princess Lodges vacation now to receive 50 percent off a second night’s stay.